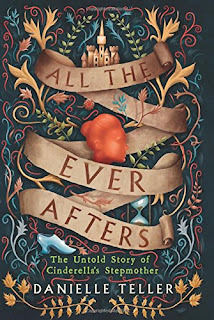 Because my bailiwick is historical fiction, and we have a wonderful fantasy and adventure host who writes historical fantasy novels of her own—Gabrielle Mathieu—I normally don’t get to tackle a book like Danielle Teller’s All the Ever Afters. Yet this time the cards fell my way, and I’m so glad they did. My luck turned out to be doubled, because not only did I have the chance to read this exploration of a well-known fairy tale as viewed from the perspective of the “villain,” but I also discovered early on that the book really is, as I say in the introduction to my New Books in Historical Fiction interview with Danielle Teller, more historical fiction than historical fantasy. This is Cinderella as you’ve never encountered her, with non-magical explanations supplied for everything from the glass slipper to the fairy godmother. Indeed, half the fun lies in recognizing the clever ways in which Danielle Teller renders the impossible credible. But stripped of its fairy-tale shell, this is a book about a young woman who starts life low on the social ladder and through her native ability, determination, and ambition rises high in a land visibly recognizable as late medieval England. It’s well worth reading for that story alone, although the sneak attacks by familiar elements of the traditional tale only add to the pleasure. Most of us hear the Cinderella story in childhood: a mean stepmother favors her own daughters and controls her hapless husband, turning the sweet and innocent Cinderella into a scullery maid and refusing to let her attend the royal ball, only to be thwarted by a fairy godmother and Cinderella’s own beauty and charm. Cinderella marries Prince Charming and lives happily ever after, while the stepmother and stepsisters get their just deserts. But Danielle Teller has a different take on this familiar story. In All the Ever Afters her heroine, Agnes, starts life as a serf and through a combination of hard work, good luck, and a stubborn refusal to break under adversity works her way up to the position of lady of the manor. There she finds herself dealing with a somewhat difficult girl named Ella, whose life of privilege so far exceeds that of Agnes and her two beloved daughters that the usual difficulties attending the stepmother/stepchild relationship are magnified by mutual incomprehension. 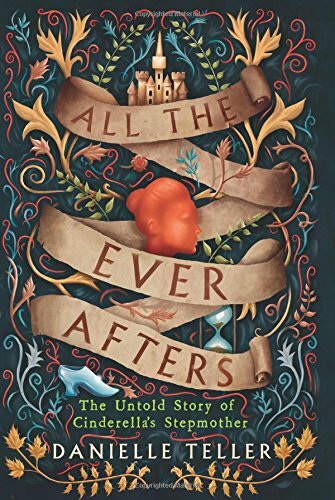 With a delightfully playful approach, Danielle Teller recasts the magical elements of the fairy tale and weaves them into a much richer exploration of social contrasts and constraints of the medieval world, especially as those boundaries affected women. And as becomes clear from the opening page, Prince Charming may not have been such a catch after all….